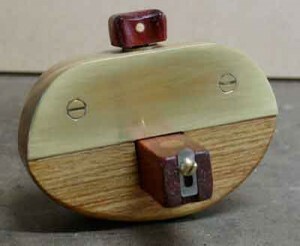 This week’s #FollowFriday is woodworker, John Eugster from Las Vegas, Nevada, who was featured in our September 2013 Wood News with his article on Making Your Own Marking Gauge. 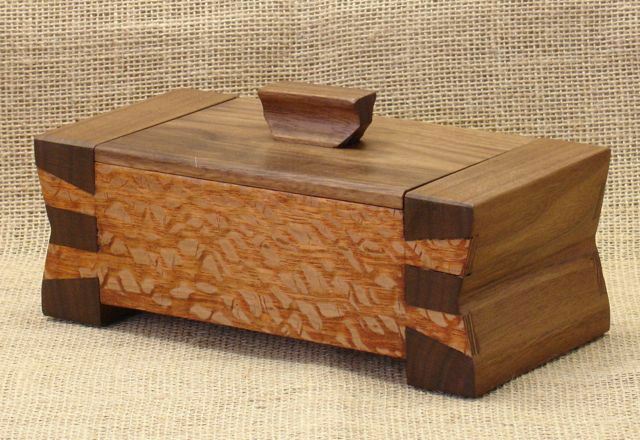 John retired from teaching Industrial Arts and Wood Shop classes in 2008, and in his retirement he has focused on creating custom, one of a kind furniture pieces. He has also taught several classes at Wood It Is!, also located in Las Vegas. He has also had his work shown in several Las Vegas galleries including the Willow Gallery in Scottsdale, AZ, and the Gallery at Summerlin in Las Vegas, NV. The pictures below are from a series of boxes that John made for a show at the Urban Ranch General Store in 2012. 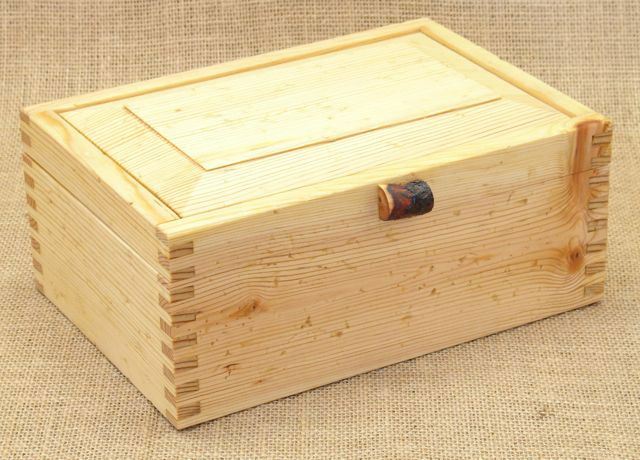 He started specializing in boxes in 2008, when the economy wasn’t doing so well and his furniture-making wasn’t paying the bills. 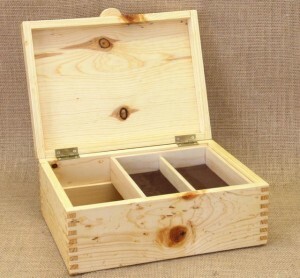 The box-making allowed him to maintain and build upon his woodworking skills and continue being able to work in his shop. 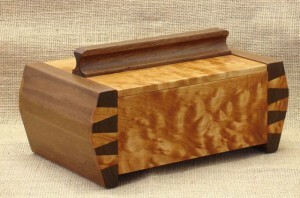 John’s second box series is the Slanted Dovetail series, in which the boxes are made up of multiple hand-cut dovetails. The shape of the box allows for the dovetails to appear slanted, which gives an added design element to the boxes. 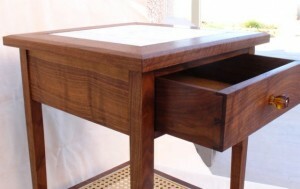 Continue scrolling below to view some other projects that John has done. You can also see more of his work at his website, by clicking HERE. 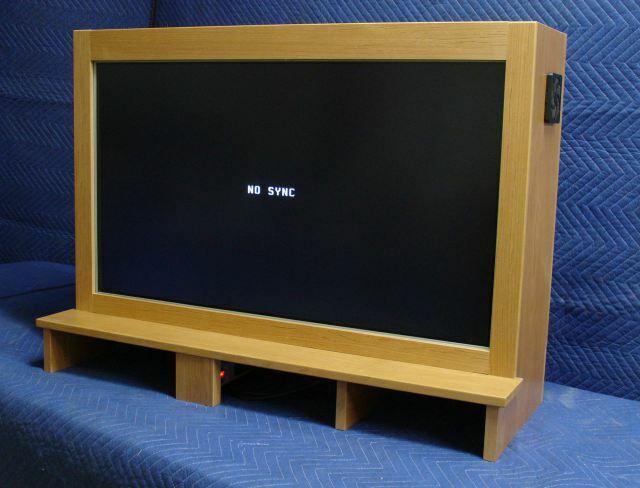 John also has a great blog on his website, which is keeping track of his current projects. Custom Computer Monitor Cabinet made from Alder. 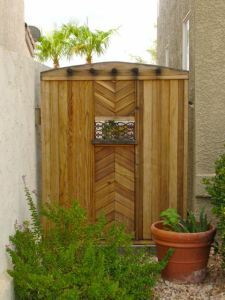 Santa Fe Style Garden Gate made of clear Redwood. The Highland Woodworker, Episode 8 The September issue of The Highland Woodturner is out!